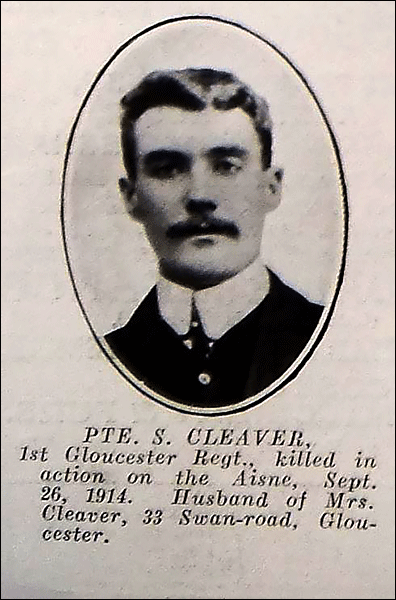 CWGC Family Details Husband of F. S. A. Aylmer (formerly Cleaver), of 33, Swan Moad, Kingsholm, Glos. 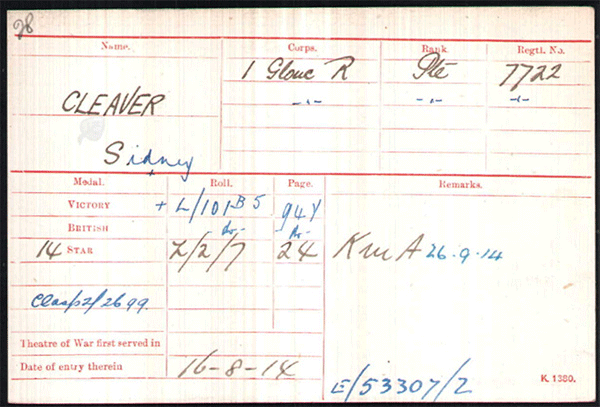 Family & Census Details Sidney Cleaver was born around 1888 in Bristol, the son of Samuel and Mary Cleaver. He was educated at the Northgate Wesleyan school in Gloucester. Mary Cleaver became widowed in 1891 when Samuel died at just 35 years of age, she remarried in 1897 to James Henry Beazer who was nearly twenty years her senior. In the 1901 Census Sidney is living with them at 1 Barbican Gardens, Gloucester and was listed as the stepson of James Beazer. 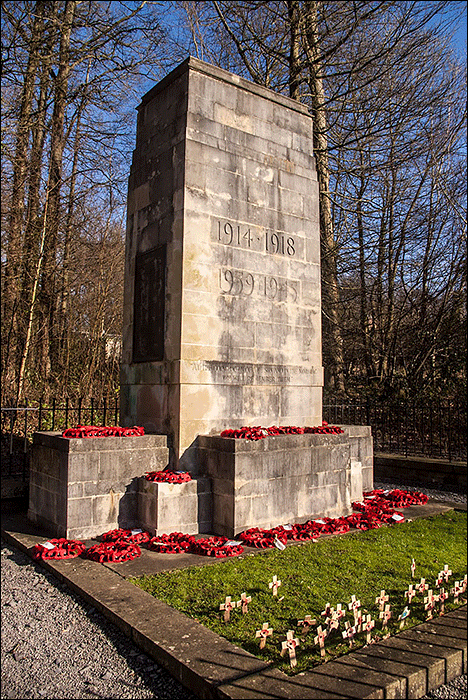 On 23rd August 1904 Sidney enlisted into the Army and joined the Gloucestershire Regiment with the regimental number 7722. 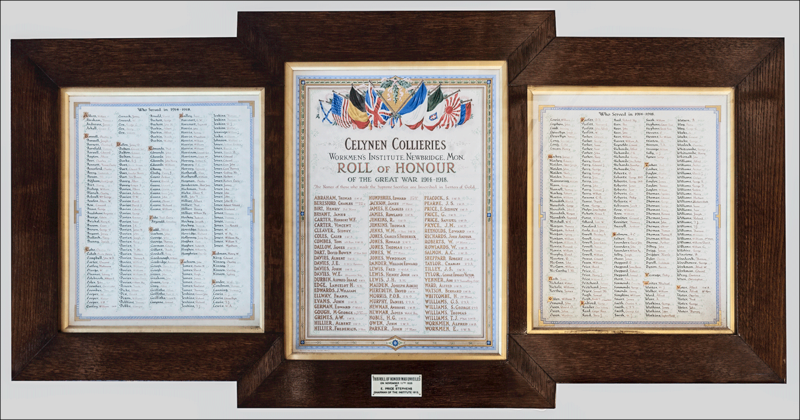 He served for three year with the Colours and then passed into the reserves. Sidney Cleaver married Frances Mary Ann Symonds on 30th November 1909 and went on to have three daughters; Gwendoline Frances b 28th Dec. 1909, Mary Elizabeth b 13th Sept. 1911 and Iris May b 14th April 1914. After the birth of their first daughter, Gwendoline, the family moved to Newbridge where they were boarders at 3 Greenfield. They lived with Frank White and his family along with a further three boarders. Sidney was employed as a Coal Hewer at the Celynen colliery.